For Valentine's Day this year, I knew I wanted to check out Cicchetti, a new Venetian small plates restaurant in Streeterville. I made a reservation at this hot spot about one month before Valentine's Day. Call me crazy, but I really wanted to make sure the BF and I secured a table! We were seated in a front room that was tucked away from the bar and the main dining room. I loved being in this intimate space because it really made the whole experience feel relaxed and not rushed, even on such a busy night. Executive Chef Michael Sheerin (Blackbird, Trenchermen) created an elegant menu of small plates meant for sharing. We started our night with a dish I had been told was a must-try, the pork cracklins. 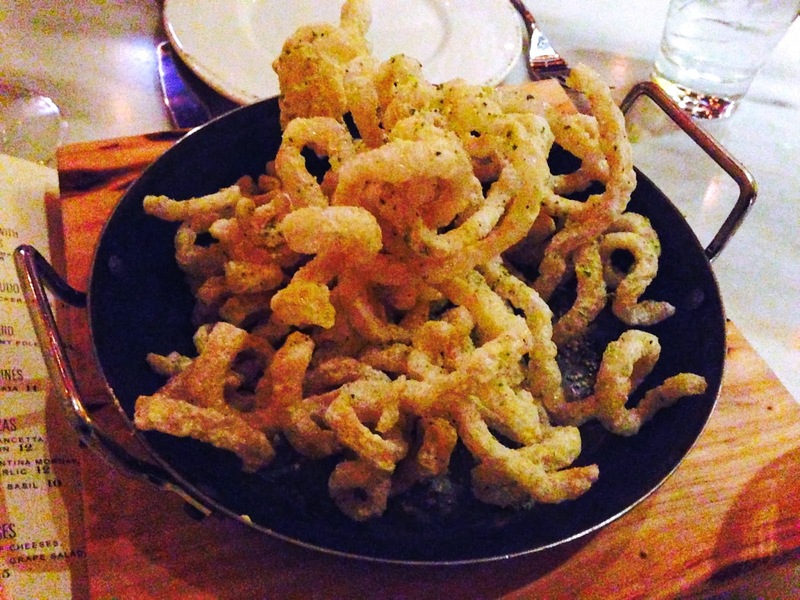 These were really pork rinds on crack and were topped with a generous portion of parmesan and rosemary. Each bite melted on your tongue! 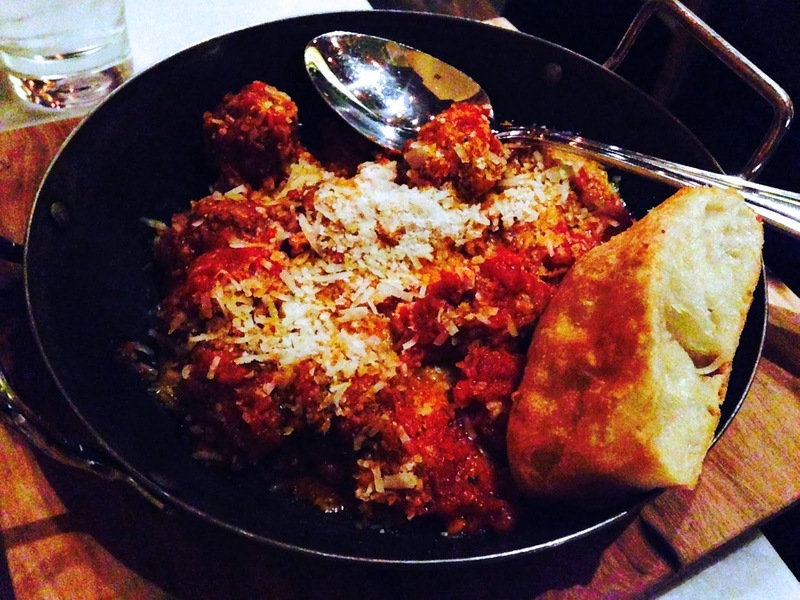 Next, we tried Nonna's Meatballs which were one of our favorite items of the night. The generous portion of meatballs were covered in a pancetta sauce which featured a nice hint of cinnamon. A side of ciabatta was perfect for scooping up each and every last drop of the comforting sauce. Since all of the pasta is housemade at Cicchetti, we knew we wanted to try a few pasta dishes. 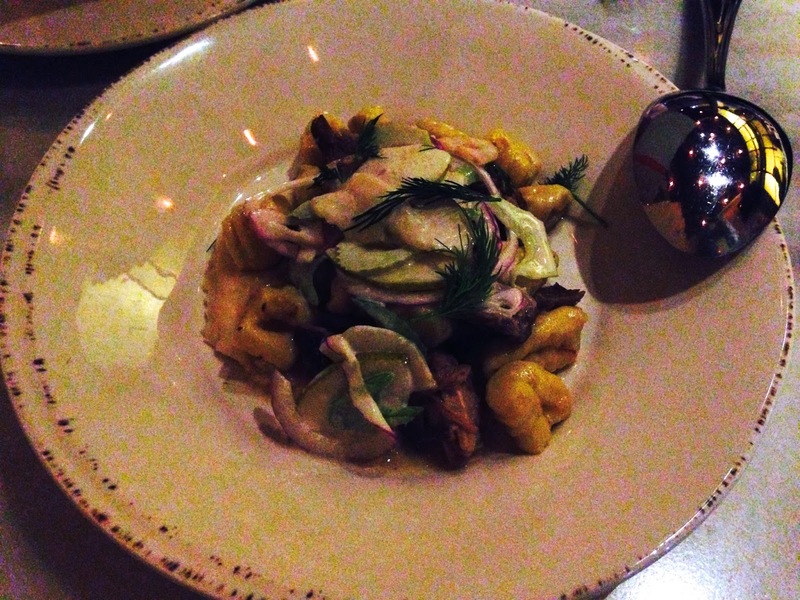 We first tried the gnocchi with braised pork shank. The pasta was tossed in a creamy buttermilk sauce, similar to an alfredo, and was topped with pear, dill, and chestnuts. We both weren't crazy about the sauce so this wasn't our favorite dish, but I personally liked the complexity of flavors from the pear and dill. At this point in the meal, we were both stuffed. However, the table next to us ordered a plate of homemade short rib ravioli and we immediately were hungry again. We were so happy we ordered this dish because it ended up being our favorite. 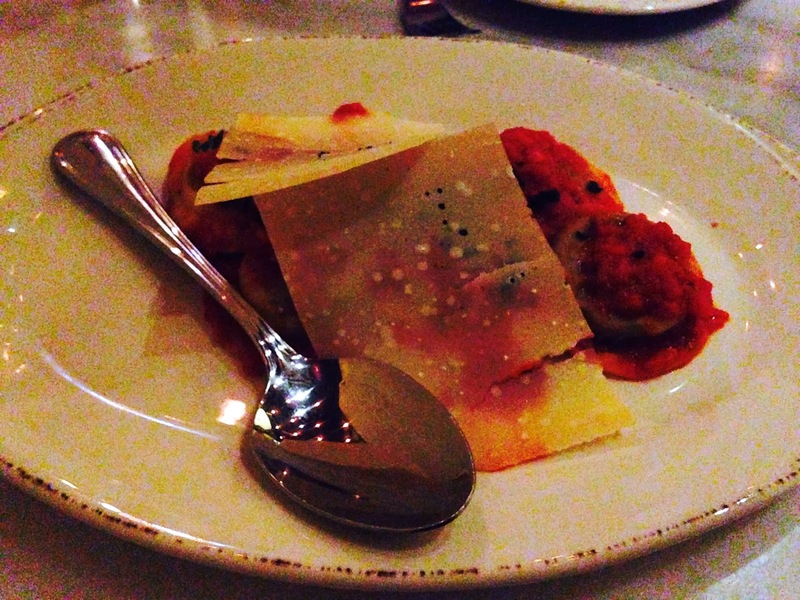 Each delicate ravioli was stuffed with braised short rib and topped with homemade pasta sauce, and sheets of fresh cheese. The pasta was delicious and the cheese really helped to amplify the flavor of the short rib. To end the meal, Cicchetti offers complimentary glasses of their homemade limoncello for each table. 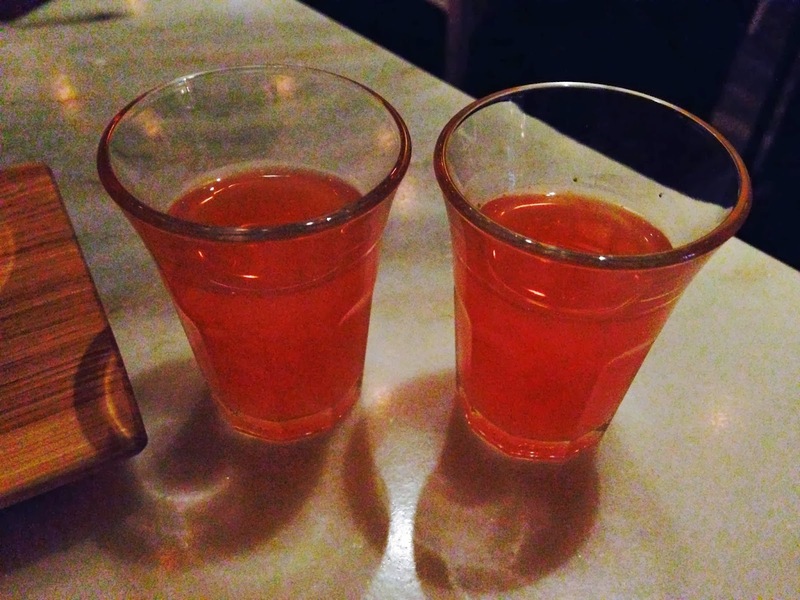 For Valentine's Day, they turned the normally yellow drink a bright red, with the help of blood oranges. Last, but not least, we tried the most famous dessert Cicchetti offers, the Reverse Affogato. This dessert starts with warm malted cream anglaise poured over espresso gelato which is then used for dipping homemade doughnuts. 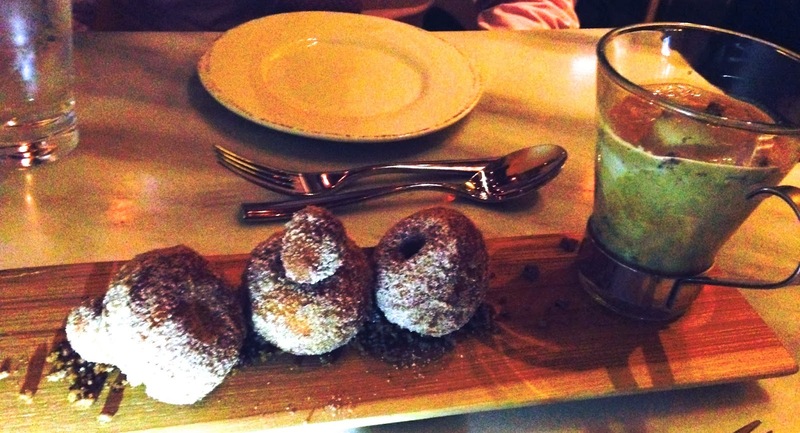 The plank of doughnuts were warm and sweet, with the perfect dusting of cinnamon and sugar. The coffee gelato had an amazing rich flavor that the BF and I both LOVED. This is definitely a must-try dessert! My terrible, grainy photo below does not do it justice. Overall, our Valentine's Day dinner at Cicchetti was great! While there were some hits and misses, most of the dishes we tried were quite tasty and the quality of the homemade elements really shined through. 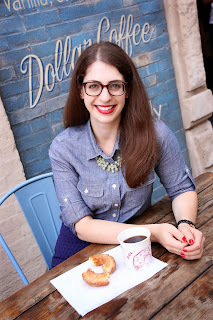 I'm giving Cicchetti four ghosts!